Where to start with Iceland? 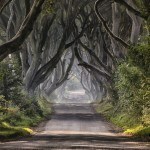 Packed into this small northern island is some of the most spectacular scenery anywhere on Earth. Lava fields, glaciers, fjords, the northern lights, hot springs, beautiful coastline – it’s all here. Throw in some exciting, accessible cities and towns and you have the makings of a trip that should be on everyone’s bucket list. We’ll cover where to travel in Iceland, how to get around, when to go, and how much it’s likely to cost you. Want to learn more about Iceland? Getting around in Iceland isn’t always easy. 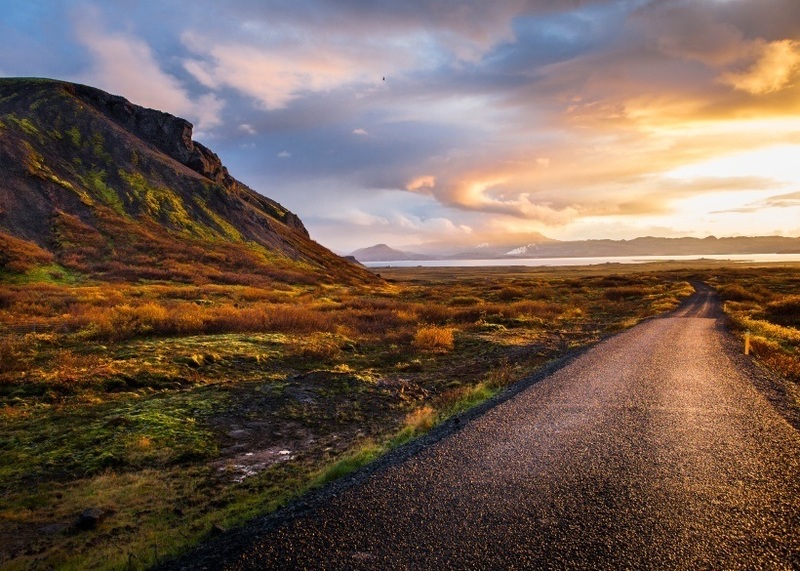 Some roads are well maintained (especially those close to Reykjavík) and offer easy access to impressive sights. More remote regions (especially in the interior), however, often have dirt roads than can be nigh impassable. Despite this, renting a car is a great way to see the country, with the Ring Road hugging the Icelandic coastline for over 1300 kilometres. Busses are also a viable option, with a relatively comprehensive network servicing most parts of the country. Despite the name, you can make a trip to Iceland anytime of the year. Summer is the most popular time to visit (for obvious reasons), however you’ll find that the winters are fairly mild – with many coming to ski, snowmobile, and more. That being said, the weather can be unpredictable – with temperatures in the winter sometimes falling low into the negatives. In mid summer, you can expect daylight almost all day, while in December you’ll be treated to just 3 hours of sun. The largest city in Iceland feels markedly different than most European capitals. For one, it’s not that big – meaning it’s easier for travelers to get acquainted with. For many, Reykjavík serves as a jumping off point to the spectacular wilderness beyond. 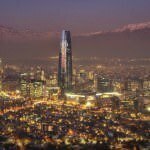 However if you spend some time here, you’ll find a surprisingly cosmopolitan atmosphere, exciting nightlife, unique architecture, and great museums – all with one of the most eye-catching backdrops imaginable. Whether you’re taking in some live music, sampling the local cuisine, or just wandering the clean and safe streets, Reykjavík will surely not disappoint. The ‘second city’ of Iceland isn’t quite what you’d expect – namely the fact that there’s less than 20,000 people here. That being said, Akureyri might surprise you with a healthy amount of food options and a bustling nightlife. That being said, the main draw of the city is arguably the location. Resting at the head of a massive fjord (Eyjafjörður), you can explore the picturesque waterway to your hearts content. You can also head up into the mountains for some spectacular views and skiing in the winter. While the city may be just south of the Arctic Circle, it remains remarkably full of life and is a worthy ‘urban’ stopover. 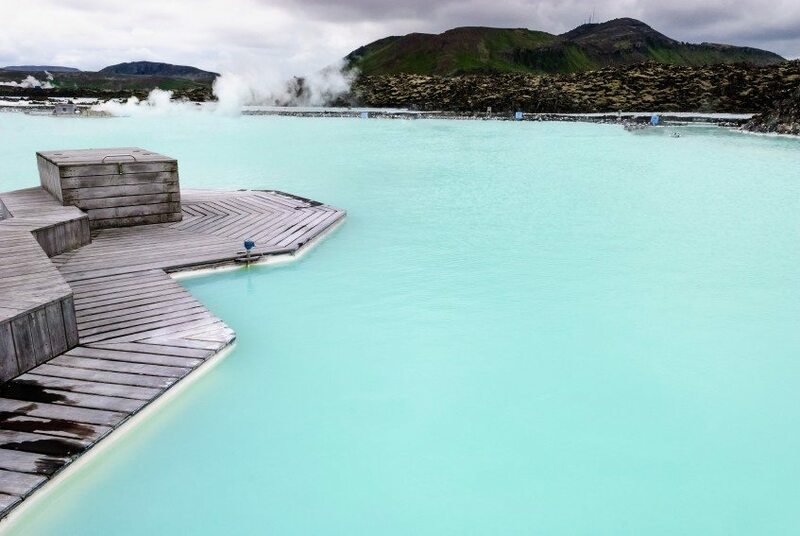 One of the most popular destinations in Iceland is the large geothermal spa known as the Blue Lagoon. Being one of the most recognizable landmarks in the country does have its drawbacks – including crowds, high prices, and an overall touristy atmosphere. But once you sink down into the warm, mineral rich waters, you won’t care about that one bit. With a laundry list of health benefits, everyone should take a break from the sometimes-tiring trip around Iceland to relax in the Blue Lagoon. It may be somewhat tacky, but you’ll kick yourself if you skip it. 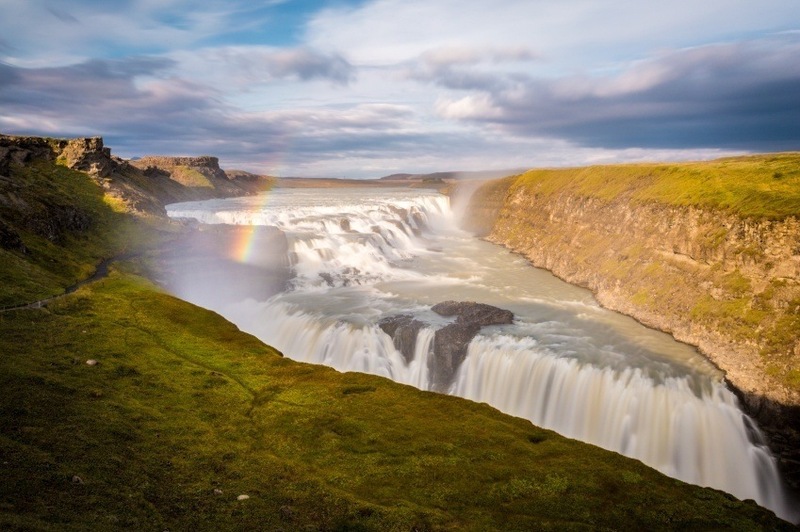 This tourist circuit serves as a convenient way to visit some of the most intriguing attractions close to Reykjavík – Þingvellir National Park, Geysir, and Gullfoss Waterfall. Þingvellir is a beautiful region (tectonic plates meet here, creating a stunning landscape) that once served as the home a Viking parliament (with all due respect to Ottawa, this sounds much more exciting). Geysir is the original hot water spout from which we get the word ‘geyser’. Gullfoss – a massive cascading waterfall – is one of the most impressive natural sights in the country (that is no small compliment). The Golden Circle is a popular route so don’t expect to be alone, but with three spectacular sights within spitting distance of the capital – you can’t afford not to make the trip. Fjords, volcanoes, cliffs, seacoast, lava – yep, we’re definitely in Iceland. Packed into a relatively small package is a taster of some of the best natural beauty the country has to offer. Snæfellsjökull National Park is the standout here, with massive glaciers and ice caps mixing perfectly with caverns and craters (this is where the ‘Journey to the Center of the Earth’ began). The mountain of Kirkjufell is also worth a gander, with the unspoiled nature and lonely mountain sure to impress anyone you show the photos to. You can also see the aurora borealis if you visit between September and April. Found in the interior Highlands of Iceland is mountainous Landmannalaugar. The multicolored mountains are an otherworldly sight, but don’t let the desolate nature deter you. While a trip to the Highlands requires additional planning (thanks to a lack of services or towns), it’s worth it to truly get away from it all. While the barren bleakness may not be to everyone’s tastes, there’s no denying the impressive, unblocked views you’ll be rewarded with. It can be a tough hike at times, but can also be one of the most fulfilling parts of any Icelandic getaway if you’re up to it. Arguably the most spectacular region in Iceland, the Westfjords has it all – stunning landscapes and a distinct lack of tourism. Here you can delve into traditional Icelandic culture amongst the many small fishing villages before hiking up into the mountains towering over equally impressive fjords. Like other remote regions, it’s not always the easiest place to navigate – but boy is it worth it. We can’t really say much more here because the Westfjords needs to be seen to be believed. Just know that if you give this region a pass, you’re missing out on possibly the best excursion in Iceland. Thanks to its location, flights to Iceland are often cheaper than the UK or mainland Europe. For many, a layover in Reykjavík is a common part of any European getaway. Since we’re just staying put, we don’t even have to worry about the second part of the flight. Round trip flights between Pearson and Reykjavík are often found around the $700 Canadian mark, though there are constantly deals on offer. Some of the cheapest trans-Atlantic flights go through here, so be sure to shop around to get the best rate possible. Unfortunately prices in Iceland aren’t the cheapest, depending on what you’re doing. An average day could cost as much as $322, though you could get by with closer to $138 per day on a tight budget (or drop as much as $780 per day if you really go wild). This is generally down to average ‘entertainment’ costs, which will vary considerably, depending on how much effort you have to put in to get to your chosen destinations or what tour packages you buy. If you want to save money, you definitely can – just expect some excursions to be out of your price range. Iceland is a relatively safe country, and as such, the Government of Canada recommends normal security procedures throughout. Petty crime does occur, so be wary in major tourist areas (as always). Beyond that, be careful on the roads as many inland routes aren’t paved. If you plan on hiking or wandering into remote areas, make sure someone knows where you are, you have the proper supplies, and you don’t overestimate your skill level. Overall though, it should be a safe and secure trip in one of the world’s most beautiful countries. These are just a few examples of where to travel in Iceland, there’s tons more to see and do. If you think somewhere else should be on the list, let us know in the comments. Check out our Country of the Week for more general information about Icelandic history and culture, as well as our Currency Spotlight for a breakdown of the Icelandic króna.